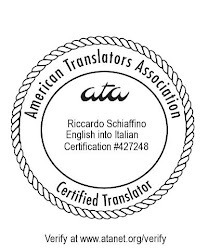 About Translation: A translation giant in trouble? According to an article in the Boston Business Journal, Lionbridge will cut 325 positions globally (about 8% of its staff). Liobridge recorded a $ 114 million loss in 2008. The CEO's statement appears to be a good example of pure corporatese: "...moving forward as a leaner company while maintaining our focus on innovation and customer quality". Best of luck to all the Lionbridge staff we know personally. As a translation agency working at vendor level for Lionbridge, we've seen a drop in demand for our services from LB in recent months. These times call for leaner operations and Lionbridge is by no means an exception. Um, can I just say... what IS "customer quality"?